Another opportunity Greece! What's going on?? Any word on why Mitrogolou didn't start? Coach's decision or injury? I'll admint I voted for "Hoisting the Sail Boat" for the sheer sound of it. Uruguay XI: Muslera; Cáceres, Lugano, Godin, Pereira; Gargano, Arevalo; Rodriguez, Forlan, Stuani, Cavani. Costa Rica XI: Navas; Gonzalez, Umaña, Duarte, Gamboa; Bolaños, Díaz, Tejeda, Borges; Ruiz; Campbell. I don't watch it Ian, so I'm not sure if that's a compliment or not! Luis Suarez is indeed warming up - looks like we'll be seeing him soon enough. 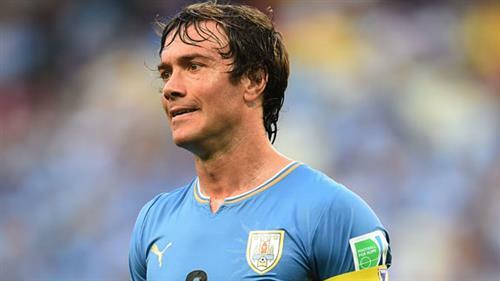 Diego Lugano is feeling the heat out there. Big moment for Uruguay if Suarez subs on! I think a lot is being made out about the state of the pitch in Manaus. Excuses thrown around before the game is even played.....?? Lugano goes in heavily on Joel Campbell and doesn't win the ball, and collects a deserved booking. Oh, Costa Rica should be level here - a free kick flies in and Óscar Duarte powers a header at Fernando Muslera who saves well, and the defender then shanks the rebound shot away from goal somehow. deeks.. u havent seen the pitch yet have you? The problem with the English team is that the media puts them under way too much pressure before every event. England has quality players but not at the level they were being hyped at. Players like Sturridge, Sterling et al are talked about as if they are the just a notch below the likes of Messi and Ronaldo while they are nowhere near that talent. Cavani hits a rocket at goal, but it's well wide. He looks angry. Very angry. Cahill would have buried that. 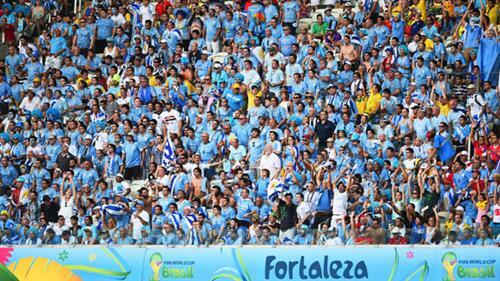 A nation hopes - and Uruguay are hanging on at the moment. Ian it was a card because it was so late. Not necessarily because it was hard. Van Persie would have destroyed that.